The neighborhood of Forest Avenue/Pine Avenue in Pacific Grove is bordered by Lighthouse Avenue to the North, Cypress Avenue and Congress to the West, David Avenue to the East and Sinex Avenue to the South. Forest Avenue runs through the neighborhood, the main street leading to downtown Pacific Grove, and the coast at Lovers Point. The neighborhood encompasses the numbered streets from 3rd Street to 19th Street, intersected by Laurel Avenue, Pine Avenue, Spruce Avenue, and Junipero Avenue. The neighborhood is home to Pacific Grove City Hall and Pacific Grove Fire Department as well as a number of Inns, restaurants and small businesses located on Forest Avenue and surrounding streets. Homes may have ocean views depending on location, and are within walking distance to Lighthouse Avenue attractions as well as the beach. Homes here maintain historic appeal and charm, and many are Craftsman style homes with period details. Many homes have room for sunny gardens and outdoor sitting areas with lots ranging from 3,000 to upwards of 11,000 SqFt. Pride of ownership is apparent in this neighborhood as properties are very well maintained and cared for. You may also find detached structures accompanying the main house, a perfect retreat for use as an artist studio. With homes dating back to the early 1900’s the neighborhood has a wonderful blend of historic preservation and lovingly restored and remodeled homes with modern updates and amenities. Families with school age children will be part of the coveted Pacific Grove Unifies School District which serves all of Pacific Grove and portions of Pebble Beach and has an excellent academic reputation. Click here to view all available homes for sale in the Forest Avenue/Pine Avenue neighborhood of Pacific Grove. For all available Pacific Grove real estate, click here. 36 homes sold in this neighborhood in 2018. The most expensive home to sell sold for 1.95 million for a 3 bedroom, 3 bathroom main house featuring 5476 SqFt of living space with an additional 1 bedroom, 2 bathroom garden apartment with 1,160 SqFt, complete with bay views. The least expensive home sold for 520K for a 2 bedroom, 1 bathroom bank-owned property with 709 SqFt of living space on a 1,800 SqFt lot. 37 homes sold in this neighborhood in 2017. The most expensive home that sold, sold for 1.855 million for a 4 bedroom, 2 bathroom, new construction, Craftsman style home with 3,161 SqFt of living space on a 10,500 SqFt lot. The least expensive home sold for 429,500 for a 1 bedroom, 1 bathroom, fixer with 504 SqFt of living space on a 3,300 SqFt lot. There were 39 homes that sold in this neighborhood in 2016. The most expensive home sold for 1.387 million and was a 3 bedroom, 2.5 bathroom remodeled 1,403 SqFt home on a 4,500 SqFt lot. The least expensive home sold for 432,929 for a 2 bedroom, 1 bathroom, 966 SqFt bank-owned property fixer on a 5,704 SqFt lot. 42 homes sold in this neighborhood in 2015. The most expensive home sold for 1.88 million for a 3 bedroom, 2.5 bathroom, 2,294 SqFt home with sweeping Ocean views on a 4,606 SqFt lot. The least expensive home sold for 449K for a 1930 era Board and Batt Cottage with 2 bedrooms, 2 bathrooms and 828 Sqft of living space on a 5,200 SqFt lot. 36 homes sold in this neighborhood in 2014. The most expensive home sold was a 4 bedroom, 3 bathroom home with 2,700 SqFt of living space situated on 11,700 SqFt of land, which sold for 1.385 million. The least expensive was a 2 bedroom, 2 bathroom, 658 SqFt duplex on a 3,300 SqFt lot, which sold for 330,000. There were 40 homes sold in the neighborhood in 2013. The most expensive home sold in 2013 was a 2,400 SqFt contemporary home with views of the Monterey Bay, which sold for 1.1 million. 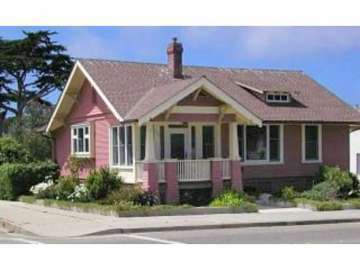 The least expensive was a 600 SqFt home on a 1,695 SqFt lot in the heart of Pacific Grove, which sold for 275,000. In 2012 there were 45 home sales in the neighborhood of Forest Avenue/Pine Avenue. The most expensive home sold at a price of 1.285 million. Located on Lighthouse Avenue, this 3 bedroom 2 bath Craftsman home had 2,095 SqFt of living space, ocean views, and was situated on an oversized 11,000 SqFt lot. The least expensive home sold was an REO sale at 288,500 for an unfinished home on Spruce Avenue. Pacific Grove is often referred to as “America’s Last Hometown” and owning a home in the Forest Avenue/Pine Avenue neighborhood will allow you to experience the quaint charms and welcoming feel of this charming coastal town. There are a number of cherished events in town, rich in tradition. Each December you can enjoy the Holiday Parade of Lights, and every July the Feast of Lanterns is celebrated as it has for the past 100 years in Pacific Grove. Also known as “Butterfly Town USA” the yearly migration of monarch butterflies is a source of pride for the town. Seeking refuge in the Butterfly Sanctuary off of Lighthouse Avenue these splendid orange and black butterflies spend their winters in the protection of Pacific Grove’s pine and eucalyptus canopies. Observing the butterflies in this remarkable state is quite an experience. Mindful gardens are planted by residents with specific flowers to attract the butterflies and homes around town are adorned with butterfly décor as homage to these loyal guests. You will enjoy shopping at local independently owned boutiques and restaurants where you are often welcomed by name. There are a number of wonderful restaurants to enjoy, and something for every palate including excellent seafood at Passionfish, Mediterranean influenced fine dining at Fandango, casual Thai and sushi establishments, Pavel’s bakery which offers exceptional pastries, and local roaster Carmel Valley Roasting Company. There is even a local cinema for you to catch recently released flicks without the crowds, located on Lighthouse Avenue. In addition, you are walking distance from the beach which will provide endless opportunities for recreation. When you wish to stretch your arms beyond the boundaries of Pacific Grove, neighboring Monterey is a historic and dynamic city to enjoy from Cannery Row and the Monterey Bay Aquarium to museums, exhibits and outdoor fun including kayaking, scuba diving and boating. Being just moments from Pebble Beach is truly a golfer’s dream come true. With 7 world renowned golf courses with breathtakingly beautiful scenery and vistas the locale is unrivaled. Head further south into Carmel-by-the-Sea to experience why this storybook community draws visitors from all over the world to its cobblestone streets, premier shopping and dining along Ocean Avenue, art galleries and the famous Carmel Beach with its white sand beaches and gently rolling turquoise waves. Your Pacific Grove neighborhood is a wonderful place to call home and experience the best of the Monterey Peninsula in a unique hometown full of character and rich in history.